The Internet is an expanding source of information and support for cancer patients and their families. Studies mostly report patient Internet use. Little is known about how carers (families/informal caregivers/friends) use the Internet and what they find useful. 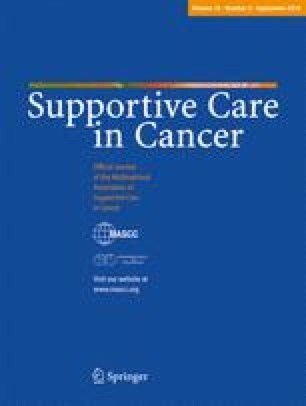 The aim of this paper was to review the literature on the role of the Internet in supporting and informing carers of people with cancer. Findings are based on a review of published studies identified from 1996–2009 Ovid MEDLINE, CINAHL, EMBASE and 2002–2009 PsycINFO, Cochrane database and Google Scholar. Key search words used were cancer, patient, information, Internet, online, web, support, family, carer, caregiver and friend. One hundred forty-five abstracts were reviewed. Fifty-two articles were retrieved in full text. Twenty of the 52 articles were critically appraised using the appropriate Critical Appraisal Skills Programme tool. All studies retrieved were level IV evidence. Most compared carer and patient Internet use with other cancer information sources or analysed content of postings to web sites. Some reported on patient ‘indirect’ Internet use through carers. Heterogeneity of results related to different study aims, diversity in study tools, varying sample sizes and differing cancer populations. Broadly, Internet use can be divided into information searching and support group activity. Carers access Internet information to problem solve; however, they report doctors as their most preferred information source. They would like to have e-mail communication with Health Care Professionals to ask questions and clarify information. Participation in online support groups provides information tailored to individual needs and peer support. The Internet may be a primary or secondary source of information and can be used to access services. Routine assessment of carers’ Internet use, prescribing of Internet sites and e-mail communication with carers are possible areas for practice improvement. The current level of evidence is not ideal to influence policy development. Research is required to evaluate carer Internet use in the rapidly changing world of health and technology. Interactive Internet applications developed specifically for carer use have the potential to prepare, inform and support the carer in their ever-expanding health care role. The impact of these services on carer quality of life also requires investigation.